Last Saturday, the Cooper-Young restaurant Cortona Contemporary Italian closed its doors. This Saturday night, those doors re-open to unveil Ink Bar, Lounge, Restaurant. • Let's Share are the starters. Options include Carnival Chicken on a Stick ($13) with smoked chicken and house-made pickles and the Cooper Young Farmer’s Market Dip ($9) with local kale and artisanal Cheeses. • Stone Work are the pizzas. The Truffled Jalapeno Pizza ($16) has black truffle pieces, fresh jalapeño, and Mozzarella. The Gamberetto ($18) has Gulf shrimp with Cajun season, shallots, and spinach. • Field and Stream, cleverly, is for the salads and soups. There's an Oyster Caesar salad ($14); a spinach salad ($10); and a curried cauliflower soup ($7). • Stacked stands for burgers and sandwiches. There's a catfish burrito ($15) as well as a pork belly rueben ($14) that boasts not Thousand Island dressing but Million Island dressing (no clue 'bout that) as well as kimchee. • Get Your Own! are the entrees and include the Neighborhood Veggie Risotto ($16) with kale, zucchini, tomatoes, cheeses, and lemon, and the Flat Iron steak ($21) with chimichurri, potatoes, and spinach. • Sweet Release, finally, is for the desserts and after-dinner drinks. There's the Black Pearl ($11), a milkshake made with Sambuca, as well as a chocolate-chili creme brûlée. 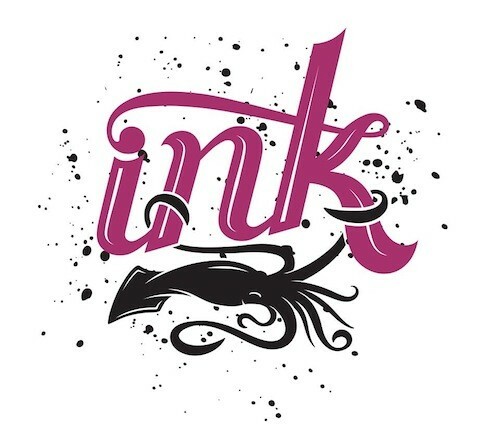 Ink will also offer an artisan cocktail list as well as a selection of sparkling wines. Dinstuhl's Cashew Crunch is one of my favorite things, so when I spotted the Dinstuhl's Cashew Crunch gelato at the Midtown YoLo, my only thought was ... Come to mama! 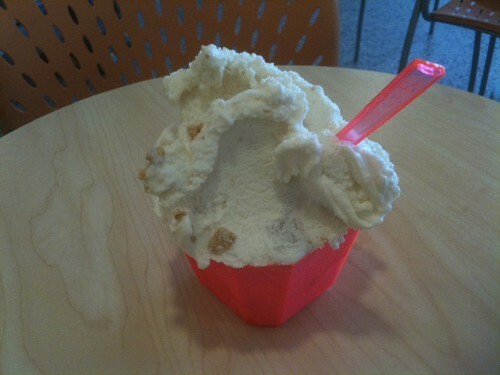 The cashew crunch gelato — delectable with bits of the candy, a stripe of caramel — is in regular rotation at YoLo. They also make gelato with pecans from Delta Pecan Orchard and with fruits from Jones Orchard when in season. And, and — this is breaking news, folks — they're debuting a new coffee and donuts gelato this week made with Gibson's donuts. A new Cuban joint is open on Madison, across the street from the Brass Door and in the former home of the Little Shop of Sandwiches. The space is indeed a little shop, even if the former proprietor has moved on. Order at the counter, and you'll turn around to a tiny eating area, packed with small tables and about twelve seats, including a few bar stools tucked under the counters lining the walls. There is a pair of small sidewalk tables out front as well, but generally, if you don't catch them before the lunch rush, you can expect to take your food to go. Havana's Pilón is named for a Latin American/Caribbean expression meaning mortar and pestle, a few examples of which are stacked around the restaurant as decoration. 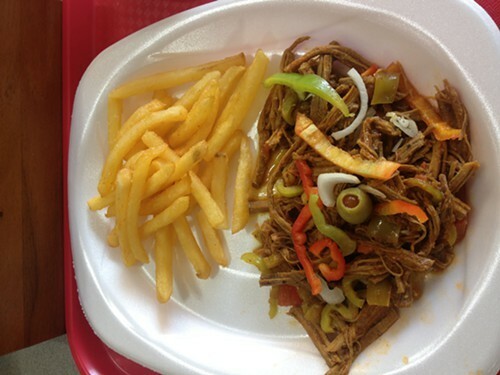 The menu is small, a pared down selection of Cuban standards such as Ropa Vieja, Spanish for "old clothes," a savory dish of shredded beef in a tomato sauce; Mofongo, fried plantains mashed with garlic in a pilón and topped with shrimp; and, yes, the Cuban sandwich, a grilled stack of ham, pork, Swiss cheese, mustard, and pickles. They're open from 7 a.m. to 7 p.m. every day, and offer breakfast items like ham and cheese croissants and tostadas. 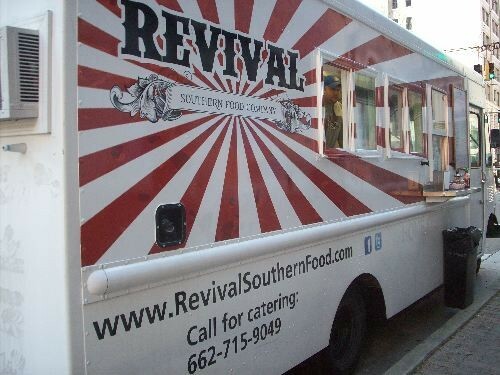 After being dormant for almost a year, Revival Southern Food Company food truck hit the streets again last Friday. Revival, which launched winter of 2011, was popular from the get-go, known for its Dirty Fries (fries topped with sausage and gravy), veggie tacos, and Krispy Kreme bread pudding. The truck placed third in the "Best Food Truck" category in the Flyer's 2012 Best of Memphis readers' poll. The truck went MIA last summer, and the chef, Crash Hethcox, left the business (he's now at Chiwawa). The truck was put up for sale in November 2012. Cathy McKee, who had been running the food trailer Trailer Hash, bought the truck two weeks ago. She says her first day in the truck was an eventful one. "I got out there and blew a tire!," she says. McKee had been operating Trailer Hash since last September in a spot in East Memphis at Poplar, behind the Bank of America building. She'll have the Revival food truck at the same spot. McKee says that the sale included three or four of Revival's recipes, including the Krispy Kreme bread pudding. She's making a batch today to bring to a party to test it out. She also plans to include some of the other recipes as well, such as a hot dog dressed with a Jack Daniels sauce. Because the Trailer Hash trailer was small, McKee had pre-make much of the menu items. With the truck, she'll be able to cook on-site and expand her offerings. "I get to be more creative," she says. The truck offers breakfast and lunch. Breakfast items include biscuits, parfaits, and breakfast plates with eggs cooked to order and side items like veggie sausage, bacon, or ham. The lunch menu features chicken salad, jalapeno pimento cheese, salads, and more. There are daily specials, too. For this upcoming week, Tuesday is Panini Day with three options. Thursday is dedicated to the veggie plate, and Friday is Fish Taco day. Revival serves breakfast starting at 8 a.m. Lunch runs until 1:30 or 2 p.m. You can follow them @Revival_Food. Apparently there's a basketball game happening? So ... earlier this week, San Antonio mayor Julian Castro made a barbecue-centric bet with mayor A C Wharton in recognition of the Grizzlies-Spurs series. My favorite thing about all this is not the wager, but that the mayor's office sent out a press release about the wager. Seriously, this is a valid point. 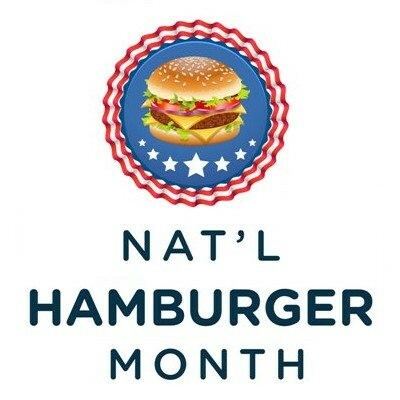 May is National Hamburger Month, with Tuesday, May 28th National Hamburger Day, so let's chomping on some burger news. • Huey's "Design the Next Huey's Burger" continues until May 31st. According to rep Shannon Little, they've received about 20 to 30 recipes for the contest so far. The winner of the contest will have his/her creation included on the fall specials menu for six months. The winner also receives a $50 gift certificate. For more information, go Huey's Facebook page. • Back Yard Burger is celebrating National Hamburger Day (Tuesday, May 28th) at select locations by giving away Classic hamburgers to the first 100 customers. Giveaway is between 11:30 a.m.-2 p.m. 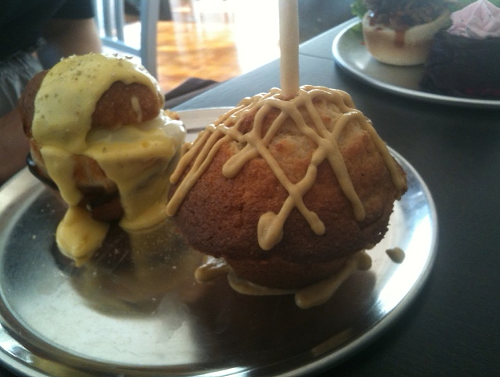 It makes all the sense in the world that the corn dog should come in cupcake form, and so it does at the Corked Carrot. Last Tuesday, we explored the savory side of the menu at the recently opened wine and cupcake bar on South Main. The Corn Dog Cupcake, pictured at front, is cornbread stuffed with bits of hotdog and topped with Dijon mustard. Pictured at back is the Croque-Madame, which elicited the most oohs and aahs at the table. This is brioche cupped in ham and filled with Gruyere cheese and a poached egg, topped with a Hollandaise sauce. 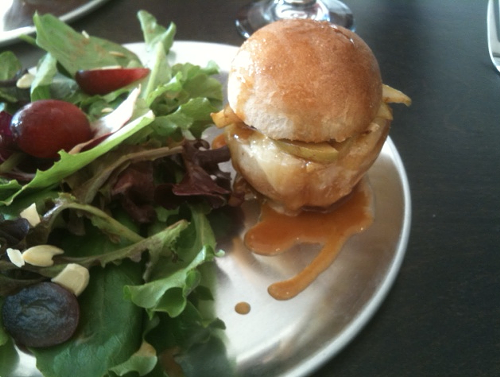 The Brie and Brown Butter is French bread with brie and apple topped with a caramelized brown butter sauce. This one's very rich, could be on the dessert menu. 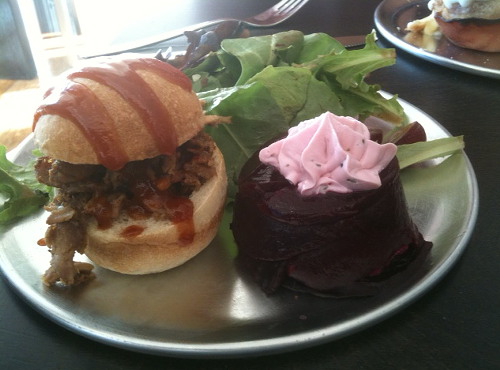 Rounding out the savory menu are the Memphis-style Pulled Pork, a French roll with pork and barbecue sauce; and the very good Beet and Goat Cheese Terrine, beets stuffed with a garlic and onion goat cheese. According to the website, plans are in the making for more savory cupcakes, including Chicago-style deep-dish, shepherd's pie, and chicken and waffles. All savory cupcakes are $5.95, extra with salad. Corked Carrot hours are Tuesday-Thursday, 11 a.m.-10 p.m.; Friday-Saturday, 11 a.m.-1 a.m.
Says Sow Luau team member Carrie, "They're the most photographed thing in Tom Lee Park." More art comes courtesy the renowned Danish National BBQ Team. On Wednesday, during friends and family night at Barbecue Fest, they released the English-language version of the team's Gold: The Story of the Danish National BBQ Team and Its Mission to Change the Game of Grilling. This massive, 400-page work is as much coffee-table book as it is cookbook, with gorgeous photography of up-scaled dishes (believe me, you will never see a prettier version of Beer-Can Chicken) as well as imaginatively shot profiles of team members and other BBQ notables such as Grand Champion Chris Lilly of Big Bob Gibson's. 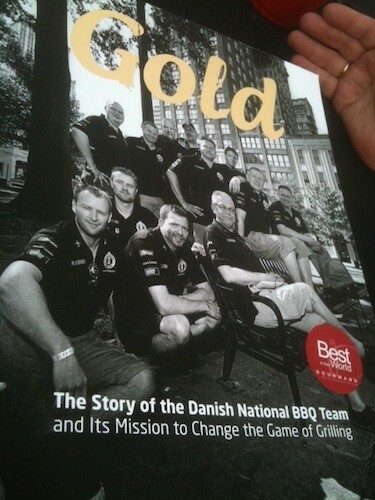 Gold, which recently won a Gourmand Award at the Paris Cookbook Fair, is at the Danish National BBQ Team tent (RO52) . More sad news today. Donald Pelts, who founded Corky's Ribs & BBQ, passed away on Wednesday. Pelts launched Corky's in 1984. The restaurant now has three Memphis-area locations as well as several locations outside the area. Corky's also does a brisk online business and has a presence on QVC. The cookbook Cookin' with Corky's was released earlier this month. When Don Pelts opened Corky’s BBQ in Memphis in 1984, he was too busy getting the eatery up and running to look very far into the future. But seven years later, after dabbling in requests to send slabs of ribs home with out-of-town customers, the Pelts family got serious about the shipping business. 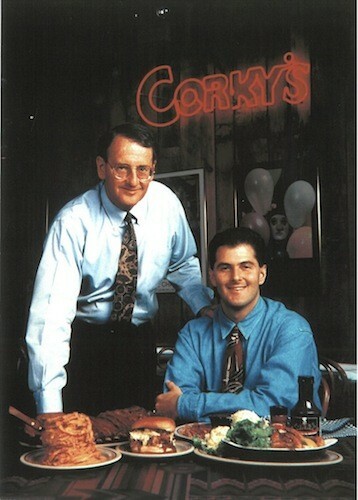 In 1991, Corky’s distribution center/warehouse became a USDA-inspected plant, located in a 900-square-foot building near the restaurant on Poplar. A decade later, in accordance with federal guidelines for a “separate, dedicated facility” and to accommodate a growing demand for the popular pig products, the Pelts moved the shipping department to a Brooks Road building that had once been the Seessel’s commissary. The number of shipping personnel has grown too; in the early years, the department consisted of a manager and two employees; today it has ﬁve managers overseeing 35 full-time workers. Total shipping revenue now is $12 million, or 25 percent of the total business. The funeral service has been set for Friday, May 17th, 2 p.m., at Temple Israel, with a grave-side burial to follow. John Willingham: "I believe in the freedom of barbecue." Barbecue legend John Willingham passed away on Wednesday just as this year's Barbecue Fest was kicking off. He was 80. Willingham was a politician, a restaurateur, an inventor, a multi-prize winner at barbecue cooking contests, a champion of all things barbecue. Back in 2009, Willingham spent a memorable afternoon at the Flyer, guiding the staff through the finer points of 'cue for the paper's annual barbecue issue. Willingham preached the gospel of the rib, which has five basic tenets: appearance, aroma, taste, chewability, and memory. On barbecue sauce, Willingham said, "Generally speaking, people cover up that which you love to see — it's like a woman wears a dress." And the congregation (well, some of us), replied, "Amen." 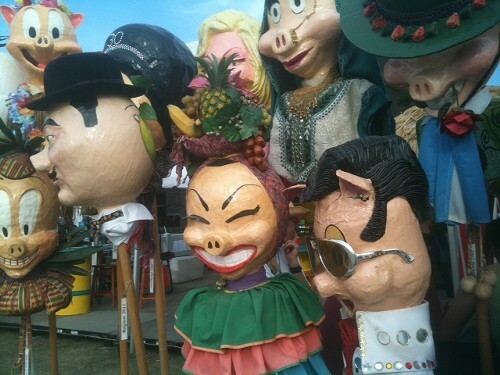 Of barbecue judging, Willingham said, "We wanted to make it formal but with an element of freedom. 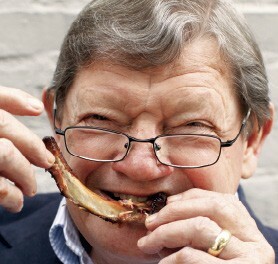 I believe in the freedom of barbecue." At the conclusion of the day, Willingham bestowed each of his students with an Order of the Apron certificate, sealed with a greasy, sauce-stained thumbprint. A whole raccoon smoked in Willingham's W'ham Turbo Cooker. Modernist Cuisine: "I needed to have one those cookers." 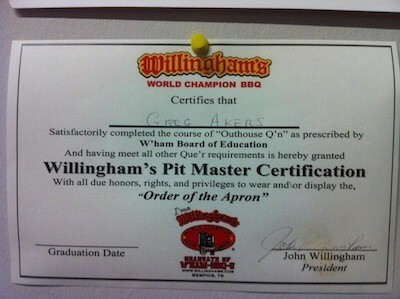 Willingham inducted into the Barbecue Hall of Fame. 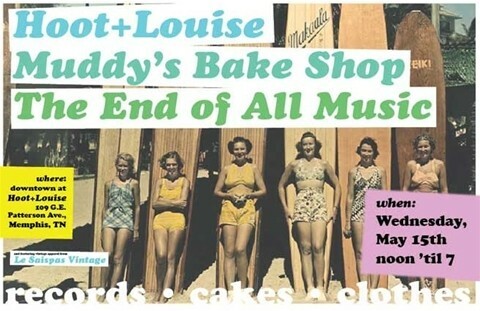 Muddy's Bake Shop 's pop-up shop inside Hoot & Louise is set for Wednesday, May 15th, noon-7 p.m.
Oxford-based vinyl record store The End of All Music will also be participating. Hoot & Louise is located at 109 GE Patterson, near the Arcade restaurant. Hunger Monkey Food Truck: "Healthy Food for Hungry People"
When Hunger Monkey hit the road for its launch last Friday, its truck was sans logo, but when that logo does appear sometime later this week, it will feature a purple monkey. Why a purple monkey? "Because I hadn't seen one," says owner Adam Hardy. 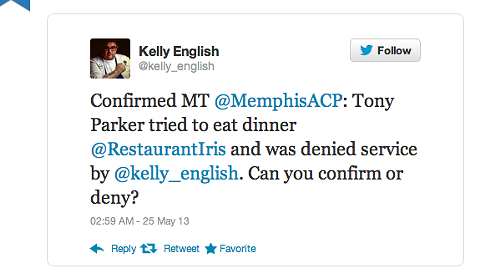 Hardy, who was born in Memphis, recently returned after working with restaurants in Nashville and elsewhere. He noticed the upswing in food truck activity and wanted to be a part of it, he says. He also saw an opportunity to fill void by providing a healthy alternative for vegans and vegetarians and those following the paleo diet, who often don't have many options when it come to food trucks and fair food. 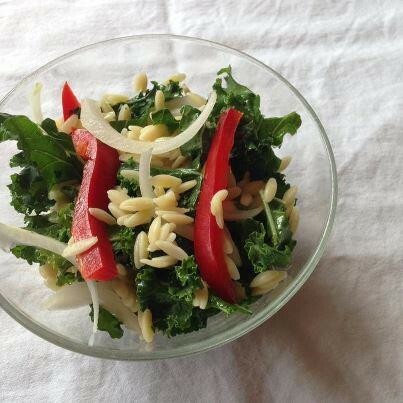 Hardy created a menu of sides — kale orzo, couscous, roasted okra, collards with sauteed mushrooms, hummus, etc. — that can be built into plates, with four sides for a vegetable plate ($8) or two sides with honey-glazed chicken ($8) or sweet & sour flank steak ($9). All is served on lemon-jasmine rice. But back to the purple monkey ... One reason Hardy says he chose the name Hunger Monkey was that it did not pin him to one type of cuisine and so he could create a day's menu depending on that day's venue and crowd, be it melon gazpacho for folks enjoying the day at Shelby Farms or nachos for festival-goers. 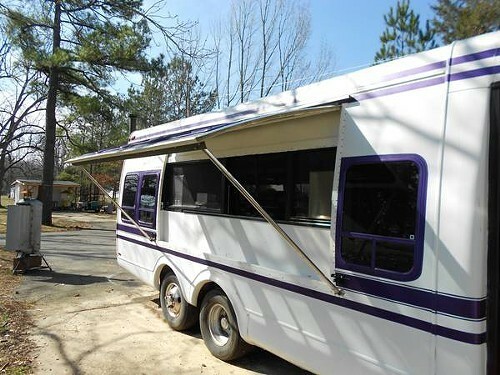 Hardy bought his truck from a man in Mississippi, who had converted an old church van into a food truck. Hardy says the truck was pretty much ready to go, though he added some equipment and made cosmetic changes. The truck has a smoker for barbecuing. 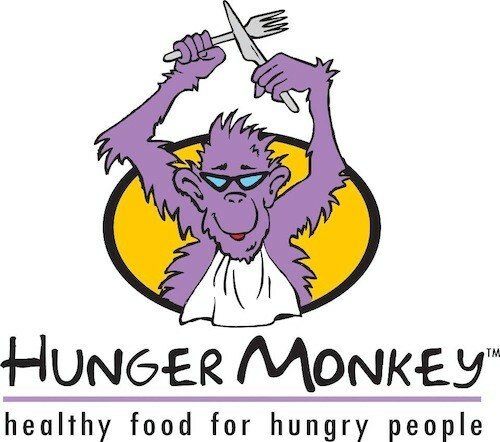 Hunger Monkey is scheduled to be at Humphreys Blvd. near Baptist Hospital on Tuesday; and at the Ridgeway Loop on Wednesday. Chubby Vegetarian Releases Cookbook, "The Southern Vegetarian"
On Tuesday, May 14th, 4-6 p.m. at the downtown Central BBQ, there will be a party celebrating the release of The Southern Vegetarian, the new cookbook by Amy Lawrence and Justin Fox Burks, the couple behind the wildly popular blog The Chubby Vegetarian. Lawrence and Burks are longtime Flyer friends. Lawrence is a teacher and writer who just won Memphis magazine's Fiction Contest for the second time. Burks is a talented photographer whose work has appeared in many publications, including Food + Wine and Garden & Gun. 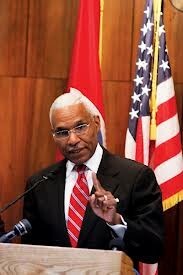 Lawrence (AL) and Burks (JFB) took time to answer questions for Hungry Memphis. When you first started The Chubby Vegetarian blog, you resisted including recipes. Why? AL: I think we didn't really know how to write one back then! Since that time, we've learned more and figured out how you have to picture the steps and also try (before things are final) to see how they could be misunderstood because the main goal is to make them really easy to follow and clear. 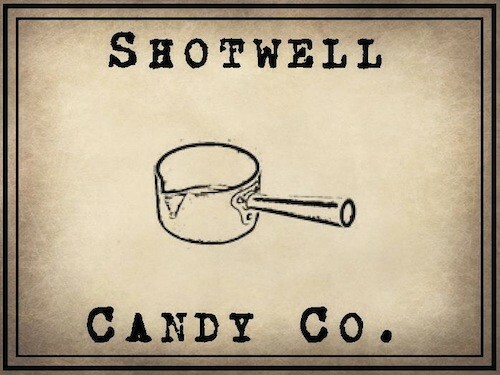 Local artisan caramels-maker Shotwell Candy Co., which was founded in November 2012, announced yesterday via Facebook that it was in search of a commercial space in order to expand its production. The original idea, Smith says, was to offer three standard caramels and two or three other flavors via Shotwell's online store. Those three standards are the Original Salted Caramel; the Hand-Crushed Espresso Caramels (using J. Brooks espresso beans); and the Old Fashioned Cocktail Caramel (designed to invoke the classic cocktail with flavors of bourbon, orange, and bitters). Two additional speciality caramels that Shotwell offered — Five-Spice Dark Chocolate Caramels (red for Valentine's Day) and Craft-Beer & Pretzel Caramels (using Ghost River) — proved to be so popular, however, that they became part of the regular line-up as well. 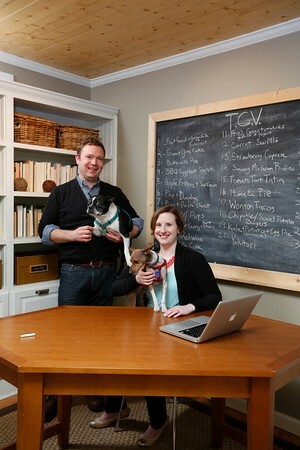 A trio of recent events boosted Shotwell's business. It was featured on Goldbely.com as part of a partnership with Southern Living's Tastiest Towns contest. 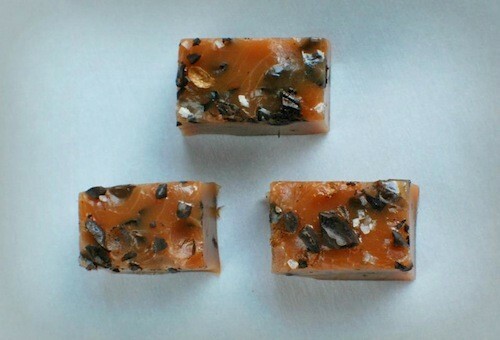 The South-focused Bourbon and Boots site started selling the caramels. And, the super-swank Blackberry Farm resort in East Tennessee signed on to become Shotwell's first retail partner. "It's been pretty incredible," says Smith of Shotwell's growth. "It's just gotten to the point where we can't meet the demand." And so now Smith is looking for a small commercial space and wants to hire people to ramp up Shotwell's capacity. Smith says he's checked into to finding a suitable space himself but without much luck. Hence, the call on Facebook. Smith's ideal space would be less than 1,000 square feet. If you know of a space, you can email Smith at service@shotwellcandy.com or offer suggestions on Shotwell's Facebook page. Memphians who want Shotwell's caramels will have to order them online, but Smith says he's currently looking at retail spots in downtown, Midtown, and East Memphis to place his wares. He says he's also adding other confections to Shotwell's line to be debuted as soon as next month.